Looking for a quick and easy healthy breakfast recipe? 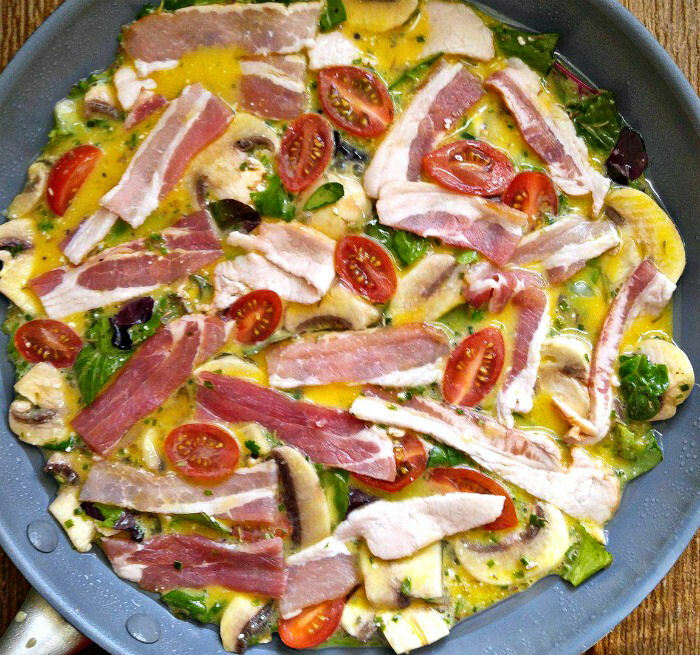 Try making a Whole30 Bacon Frittata. 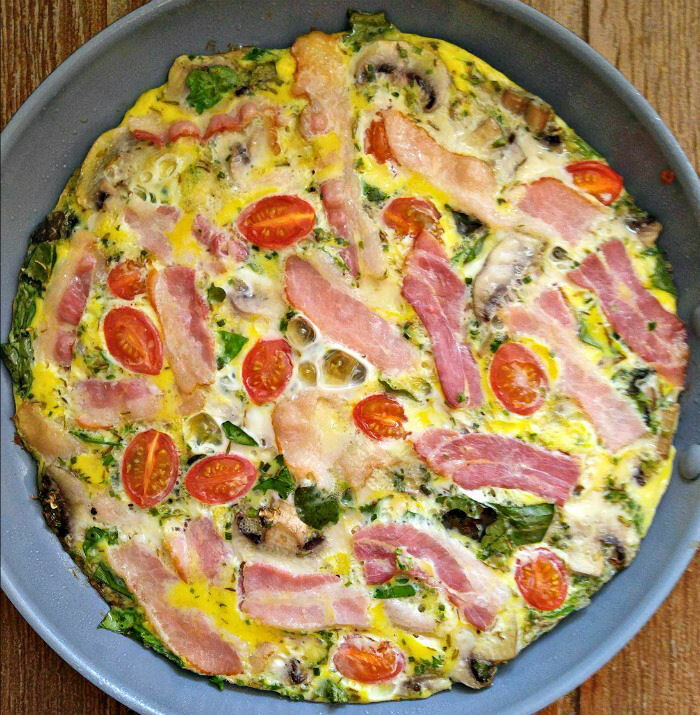 It’s a fabulous combination of bacon, eggs, mushrooms and tomatoes with dark leafy greens and fresh herbs. 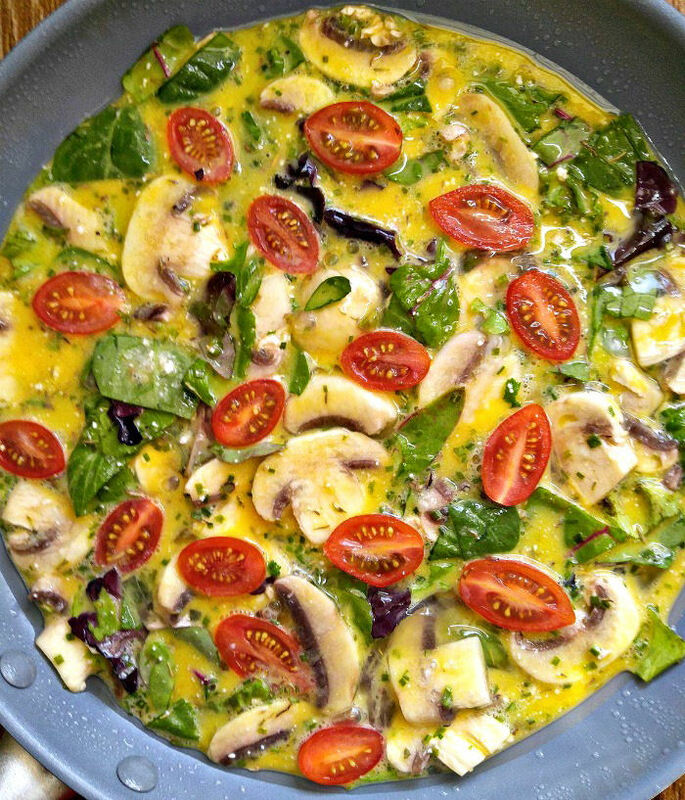 This light, but hearty Frittata recipe is so easy to prepare and is one of my favorite breakfast recipes. It also makes a tasty and light lunch time option. The new year is here and, for me, that means following the Whole30 diet plan. It’s a great combination of heart healthy foods that cuts out sugar and processed foods. I love breakfast recipes on the Whole30 plan. It’s a chance for eggs to shine and for fruits and nuts to become the star! I love egg dishes and make them often, but they can often take a long time or a lot of skill to prepare. (Flipping omelettes is not my forté!) Sometimes, when I am in a hurry, I want an egg dish that is fancy looking but really easy to prepare, like my breakfast egg muffins. This recipe is another one of the same type and even easier. This bacon frittata is fool proof. It comes together in less than a half hour and tastes absolutely amazing. The recipe is Whole30 compliant, Paleo and Gluten free and tastes like something you would get in a fancy sidewalk café for a weekend brunch. Making a Whole30 Bacon Frittata. Got an oven proof sauce pan and a bowl? You are half way there! 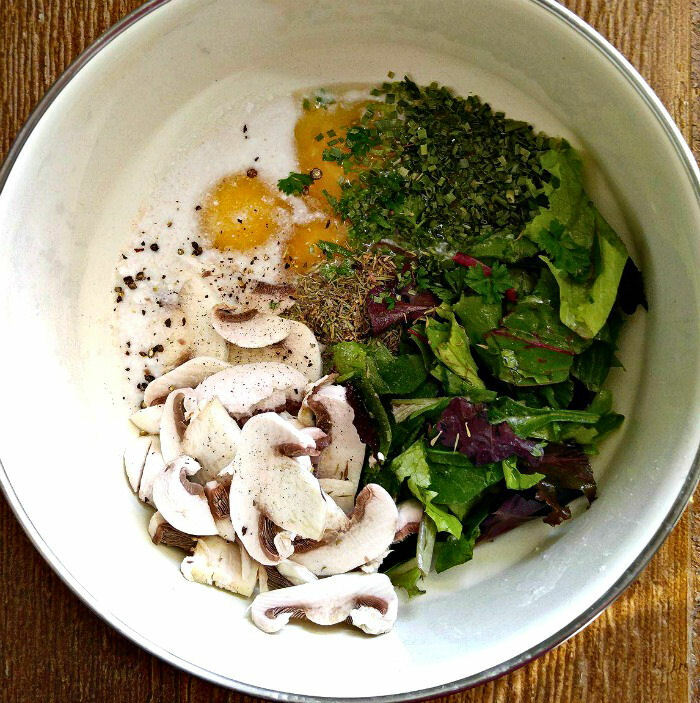 To start, combine your eggs, mixed greens, sliced mushrooms, herbs and coconut milk with salt and pepper in a large bowl and whisk together. The mixture already looks good. I love anything with lots of healthy greens in it! Can’t wait for it all to start cooking! I used a large oven proof green pan that I sprayed with coconut oil. 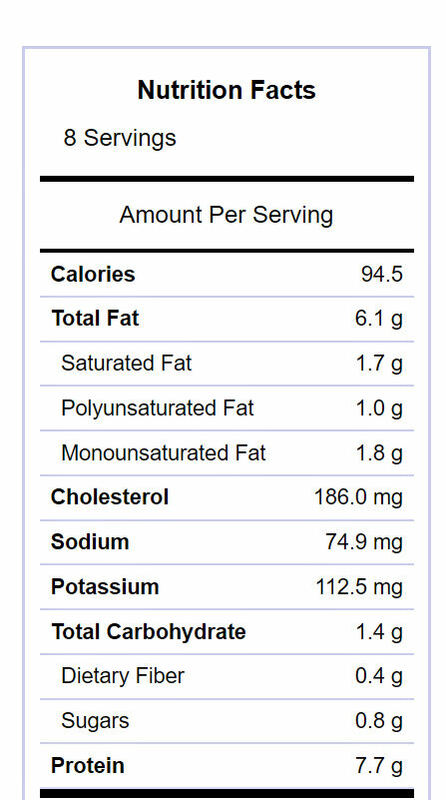 This means that I don’t have to add any extra oil to the dish, which keeps the calories down. In goes the egg mixture. How easy is that? I wanted a bit more color for this bacon frittata, so I cut some grape tomatoes in half and sprinkled them over the top of the frittata. The last step in the preparation is to cut three strips of bacon in half and then cut each half in thirds. Place the bacon pieces here and there over the egg mixture, pushing them down into the egg mixture a little. Into a preheated 325 degree oven goes the whole pan for 20-25 minutes until the eggs are set and no longer jiggly. One thing I love about this Whole30 bacon frittata is that it doesn’t have to sit for the eggs to set once it is done. That happens in the oven. You can cut it almost immediately! Tasting this amazing Whole30 Bacon Frittata. One of my favorite parts of this dish is that the bacon is NOT precooked before you put the pan in the oven. This gives the pieces an almost prosciutto like texture since it’s not too crisp. 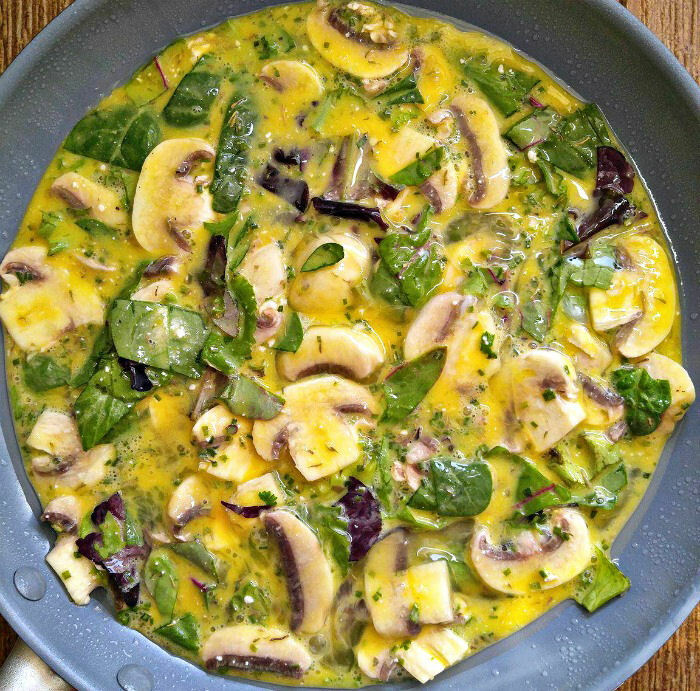 The egg mixture is soft and blends so well with the mushrooms, tomatoes and greens. Use fresh herbs for cooking this recipe to add so much flavor. Tthe combination of parsley, chives and thyme adds a touch of mild sweetness to the dish that seems to come out of nowhere! I like to serve the dish with slices of avocado for an extra dose of heart healthy oils. It is very low in carbs, low in fat and low in sugar. Perfect for those trying to watch their weight in the New Year! There is no cheese in this Whole30 frittata but the flavor is so amazing that you won’t miss it one little bit. And I assure you that you won’t miss the lack of calories either. 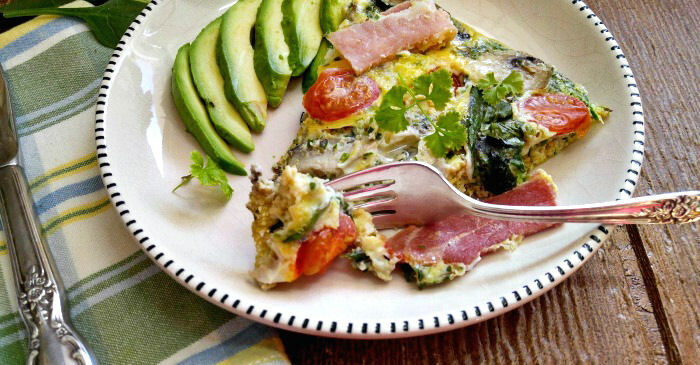 I slice of this bacon frittata has only 94 calories. So you know that that means? Go ahead and have TWO! 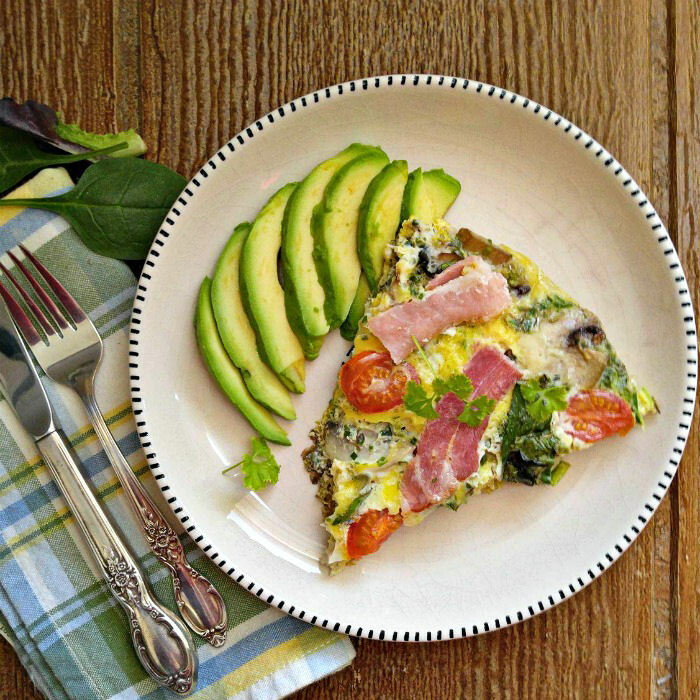 If you are looking for a really special Whole30 Breakfast recipe, give this one a try. It is sure to become one of your favorites, just like it is mine! 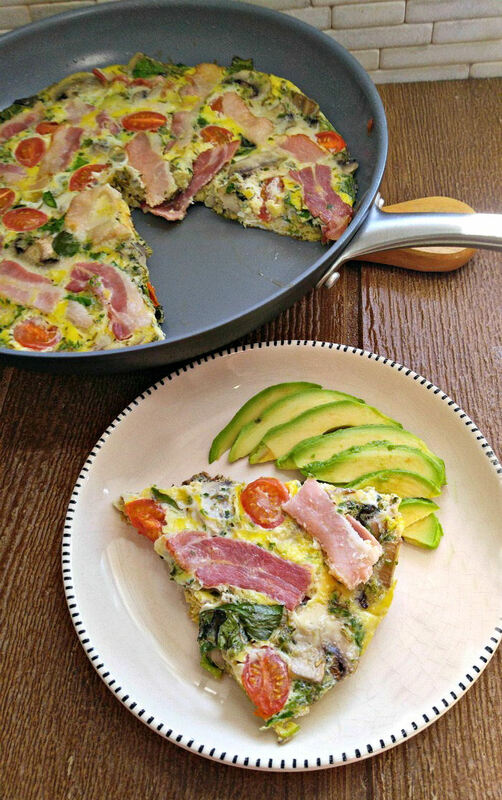 This Whole30 Bacon frittata is full of the flavor of creamy eggs and nutritious vegetables. The spices give the dish an unexpected sweetness. Preheat the oven to 325º F. Spray an oven proof frying pan with coconut oil. 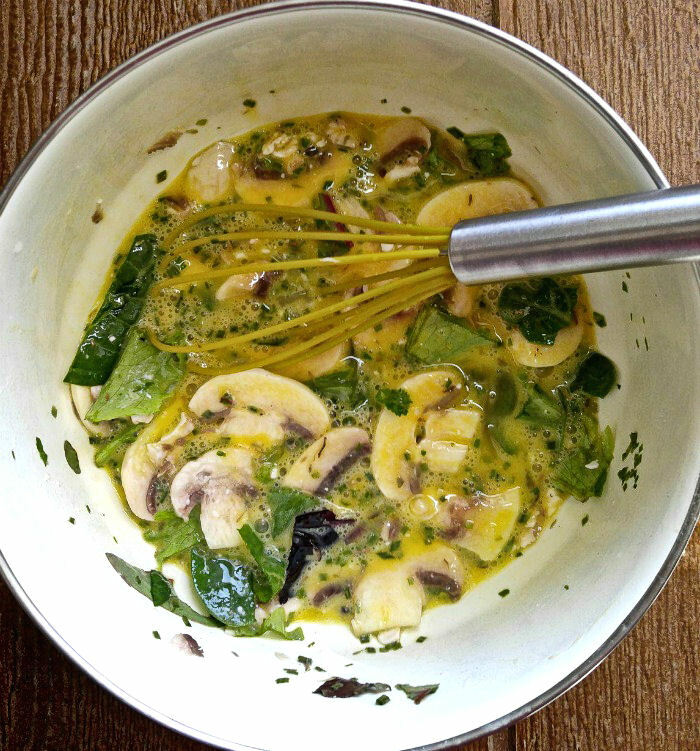 Add the coconut milk, eggs, sliced mushrooms, baby greens, spices and seasonings to a large bowl and whisk well to combine. Pour the egg mixture into the prepared pan and add the grape tomato halves over the mixture. Place the cut pieces of bacon here and there on the top of the egg mixture, pressing down slightly into the eggs. Cook in the preheated oven for 20-25 minutes until the eggs have set and are no longer jiggly.